Get ready for a unique talk from Texas men's coach Eddie Reese and women's coach Carol Capitani. The pair will offer a discussion into each other's team's success. What do they see in each other? What have they learned from each other? Their talk will provide a truly unique look into two highly successful programs. Alabama's Dennis Pursley & Jonty Skinner will offer an inside look at the revitalization in provide a unique look into how they have shaped the Crimson Tide in their return. 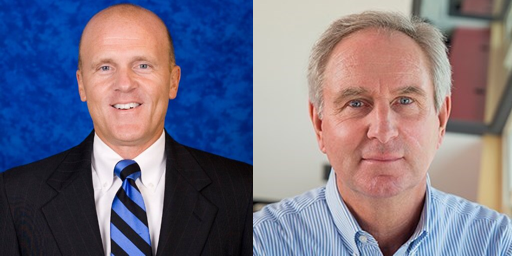 Pursley will speak at the CSCAA Coaches Academy and both will speak at the Regular Convention. 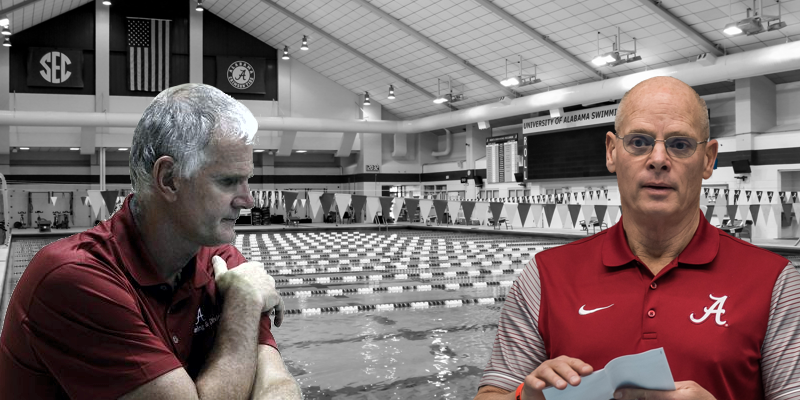 You will learn how they led 'Bama to their first win over Auburn in twenty-one years and how they molded Junior national in-state recruit into the nation's fastest 100 freestyler. A cursory glimpse of the NCAA Top Times list will show what coaches know - that Steve Bultman has built the deepest and fastest stable of breaststokers in the country. 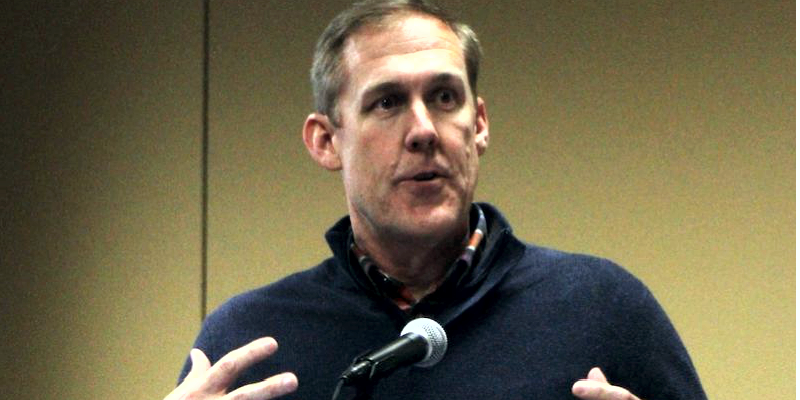 An American Swim Coaches Association Hall of Fame inductee, Bultman first became known for his influence on Georgia's Kristy Kowal and since then has had the Aggies among the nation's best. What is the “Right Stuff?” It’s the characteristics and behaviors that allow some people to have satisfying and successful careers. Carter Cast is a Stanford swimming alumni, past CEO for Walmart.com and clinical professor at Northwestern's Kellogg School of Management. His book, The Right - and Wrong - Stuff is a candid, unvarnished guide to the bumpy road to success. It is not a lack of talent, energy, experience or credentials that hold people back, its... well, you'll have to be at CSCAA 2018 to find out. Longtime head coach at Johns Hopkins University, Kennedy has teamed with Toni Armstrong to develop Baltimore Leaders. Together they work to developing engaging leadership practices that build healthy dynamics for peak performances on teams, in business and in life. What do Athletic Directors expect of swimming and diving? Find out from two of the best. Selgo led Grand Valley to fourteen top-two finishes in the NACDA Directors' Cup. He will provide an informative and entertaining how-to that will help you connect with your department achieve competitive greatness. Bonn has added seven sports and built a nearly $5 Million endowment for them at Carthage. He has a unique view of separate programs and will explain how you can add resources and value to your program. The coaches that Dani Korman has apprenticed under reads like a Who's Who of coaching. George Kennedy, Jim Henry, Peter Casares, Jim Steen and more. Now, having led MIT to three consecutive years of top ten finishes, she is showing she is just as (if not more) effective as a head coach. Dani will discuss how she has molded the lessons learned from her mentors into her own approach. Anyone who knows Eastern Michigan knows Peter Linn can coach. Perhaps more remarkable is that he has enjoyed thirty years of success at Eastern Michigan without the benefit of a full staff. Learn how Coach Linn not only identifies and manages his assistants, but also grooms them for success when they move on. Bob Groseth returns to the Northwestern pool deck along with USC's Dave Salo to discuss. . . actually, we're letting them discuss whatever these they want to talk about. Whatever the topic you won't want to miss this pair of wise and entertaining legends. Think the recruitment process ends when your team arrives on campus? Think again. Generation Z expects loyalty and if coaches don't cultivate the them, they move on easily. 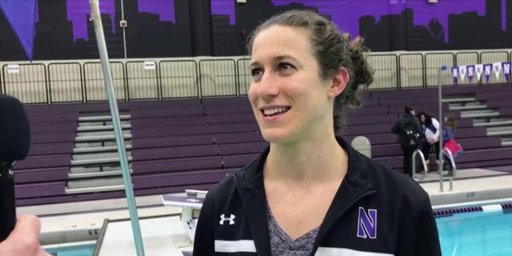 Northwestern's Abby Steketee discusses her what she's doing to connect with this post-millennial generation. What could your program do with an extra $5,000. How about $10,000? How about $50,000? See how Todd Peters has built a lessons dynasty that has fueled his budget, funded assistants and even has his athletic director pitching a new pool on his behalf. Donie has enjoyed success at every level. 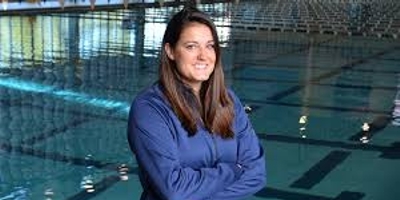 As an Olympic silver-medalist on the 10-meter, as head coach for sixteen years at NYU and stints as an assistant at SMU and the University of Miami. Now he is revitalizing the diving program at Columbia University, which for the first time this year had two men qualify for NCAAs- a program first. Donie will discuss the keys to his success and how he is applying them at his new program. Always one of our most highly-rated speakers, Dan Tudor, the recruiting guru returns to give coaches the latest insights into what works, what doesn't and what you should experiment with to land that next recruit. Ever wonder what that recruit is "really" thinking? Ever land a recruit you later wish you hadn't? 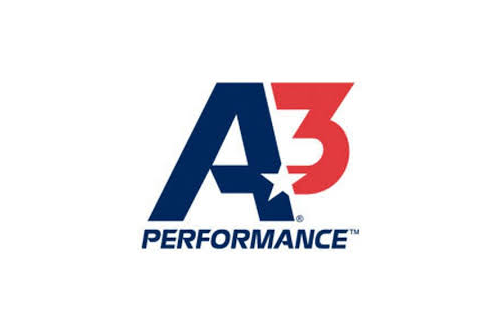 Research shows that the second-most influential person (behind the parent) in the recruiting process is the home coach and two of the best, Cindy Dell of Lake Forest High School and Alexis Keto of New Trier Swim Club will help you learn how they can help you land the recruit, eliminate the bad apples and succeed once they're on campus. The Prana Yoga master is back due to popular demand. Learn what Krojo does with the Fighting Irish and how you can apply it to your team. Knappenberger brings a unique combination of academic research to practical application as Northwestern Sports Dietician. Her mission is to empower athletes to use food to fuel athletic and academic success and is responsible for team and staff education, meal planning, individual nutrition counseling and food and supplement security. The phrase "big data" seems to be everywhere nowadays, but how can it be applied to swimming? 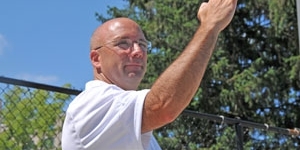 Chesterton High School Coach Kevin Kinel has won 41 sectional titles, produced 51 IHSAA state champions, and produced six NFHS high school records. Brothers Bob and Brian Kallay are experts in the area of financial trading software (where data collection and representation are critical). Together they will show you how you can simplify and make sense of race analysis. Katie Hazelton returns to the CSCAA stage having just wrapped up her first season as head diving coach at Pitt. In 2014, USA Diving recognized Hazelton and Duke Diving as its most improved club throughout the country. This year Hazelton, one of our most-popular speakers, returns to talk what she is doing to produce similar success at her new home with the University of Pittsburgh. 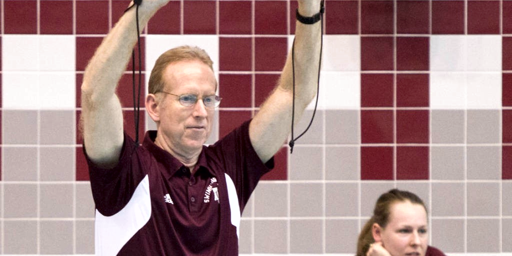 Three-time CSCAA Coach of the Year, and four-time SEC Coach of the Year Dan Laak is one of the leading advocates for intercollegiate diving. Laak has served on both Olympic staffs and the NCAA Rules Committee and will speak about what coaches can do to advance diving on their campus and in their community. Ewald just wrapped up her 14th season as head coach at Ohio Northern and will begin working for U.S. Paralympic Swimming. She will be joined with Justin Anderson (Frostburg), Justin Zook (Saint Catherines), Erin Popovich (three-time United States Paralympian), Beth Kolbe (parlympian and Harvard swimmer) in a panel moderated by Dave Denniston (Wyoming head coach and Paralympian).